Yvonne Mulvaney is our Head of Rentals at Exceptional Villas & luxury Caribbean specialist for Barbados, Mustique & The Grenadines. Yvonne has over 20 years experience in the villa rental industry. Her training is in Hotel Management and she studied at Waterford Institute of Technology and Galway Mayo Institute of Technology. 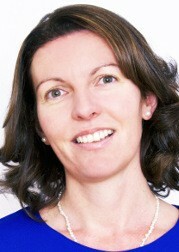 She has extensive experience in the 5* market and has worked at some of the best 5* Hotels in Ireland, USA & France. She feels this training has given her a great understanding of the luxury villa market. "As with the 5* hotel market, service in the villa industry is key. That starts when our guests are choosing their villa. We aim to provide the highest level of service to them. We spend the time & listen to our guests' aspirations & that way we can recommend the very best options to them"
"I'm passionate that the highest level of service is provided at our luxury villas too; from the moment guests arrive. The welcome smile & show around or welcome rum punch; it all sets the tone and makes such a difference. Our guests often comment that the villa staff made their trip"
Yvonne travels to Barbados & The Grenadines several times each year & visits all the villas we represent. She's always on the look-out for new villas on the rental market & genuinely loves finding "the right place" for our guests. "We make really invaluable personal relationships with our local villa owners & managers on our trips to market & it's only by visiting the properties and meeting with the staff that we can properly recommend a villa to our clients"
Yvonne especially loves to see repeat guests coming back to us year in year out. "As we have villa experts for all the Caribbean Islands including St. Martin, St. Barths, Anguilla, Antigua, St. Lucia, British Virgin Islands, Mustique it means that we can work with our clients over and over again. Whether they want to return to their favourite spot or try something new, we invest the time visiting the villas, checking out the beaches, local activities and, of course, trying out all the fabulous restaurants, so we can truly give an unbiased recommendation to our guests wherever they\'d like to go." "In a private villa rental or luxury condo families can really relax and spend time together. Everyone has their own space and families can set their own schedule." Yvonne's favourite Caribbean Island is Barbados. "The West coast of Barbados is my particular favourite. I love the relaxed Island vibe combined with the very best of places to stay, chic oceanfront restaurants, traditional rum shacks and, of course, stunning pristine beaches. Barbados is so easy to get around and every time I visit I find somewhere new; a new restaurant or a new beach walk!" I love telling our guests about the villas I’ve stayed in and have visited. You can impart all your knowledge; what the beach is like for swimming and walking, how close the restaurants are, do you need a car, etc. It\'s great to have the personal knowledge. Mustique is another gem. It is utterly unique and tiny! Stunningly beautiful. I loved exploring the beaches in my golf cart (the only method of transport). It offers a different pace of life to guests and a level of privacy rarely found. The villas there are beautiful. "Thank you so much for all your help, It's been a pleasure speaking & exchanging emails with you!!" "Thank you for everything you are a gem." "Thanks to Yvonne & Julie for all your hard work finding us the perfect spot for our family. Our ages varied so greatly it was a real feat to find the right house." "We wanted to thank Yvonne & Julie for their attention to detail & for answering all our questions & we had a lot!" "Thanks so much for recommending Harmony House to us- we couldn’t be happier". "Thanks for the follow up Yvonne. We had a great time in Barbados & Smugglers Cove. It is always relieving when the property viewed online actually matches the photos in person. We were very happy with the villa, the location & all aspects of our stay were exceptionally well planned so thanks to you & your team for the effort & attention on the planning side."